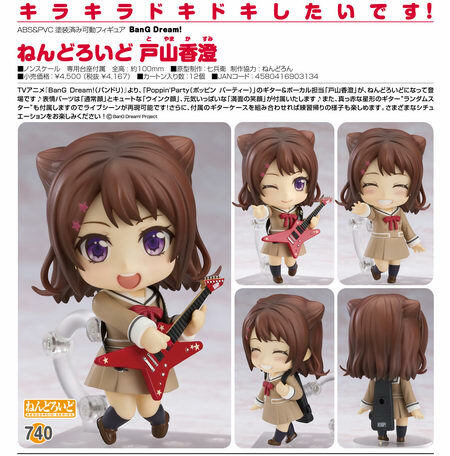 March 19th, 2019 By: GGT Category: 2019/09 release, Figure News. 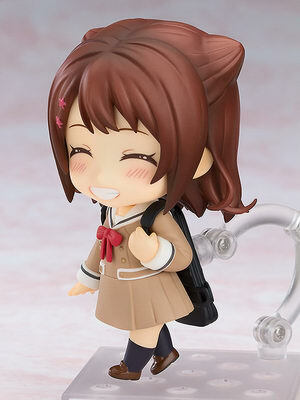 Good Smile Company is going to re-release the Nendoroid No.740 Toyama Kasumi ( 戸山香澄 ) action figure form the anime “BanG Dream!” ( バンドリ! ). Will be re-released in September 2019. Around 100mm, 4,167 yen. 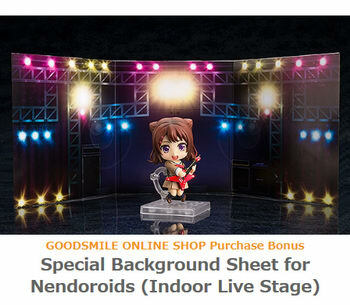 Purchases of Nendoroid Kasumi Toyama from the GOOD SMILE ONLINE SHOP will include a Special Background Sheet for Nendoroids (Indoor Live Stage) as a bonus! Designs shown here is for illustrative purposes only. The final product may differ. "I want to find that sparkling excitement!" From the anime series BanG Dream! 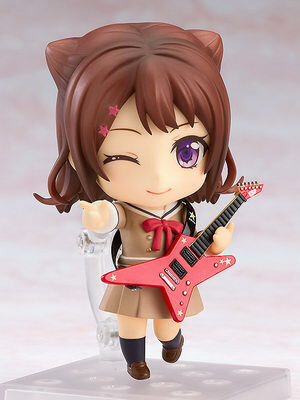 comes a rerelease of the Nendoroid of Poppin’Party’s guitarist and vocal talent, Kasumi Toyama! 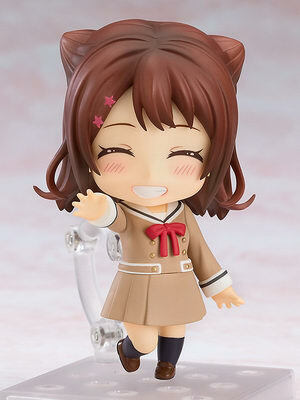 She comes with three face plates including her standard expression, a cute winking expression as well as a cheerful smiling expression! 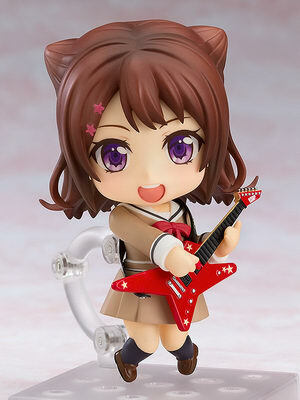 Her red star-shaped guitar "Random Star" is also included allowing you to display her performing songs in Nendoroid size! 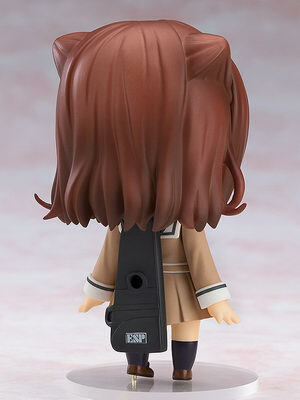 She also comes with her guitar case allowing you to pose her on the way to or from band practice! Enjoy all sorts of different situations!